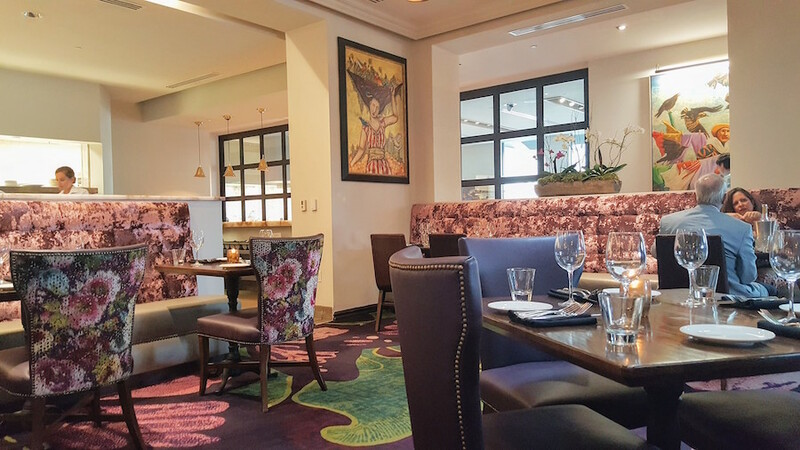 Habitat Feed & Social has both an Elegant Atmosphere & Exquisite Food! 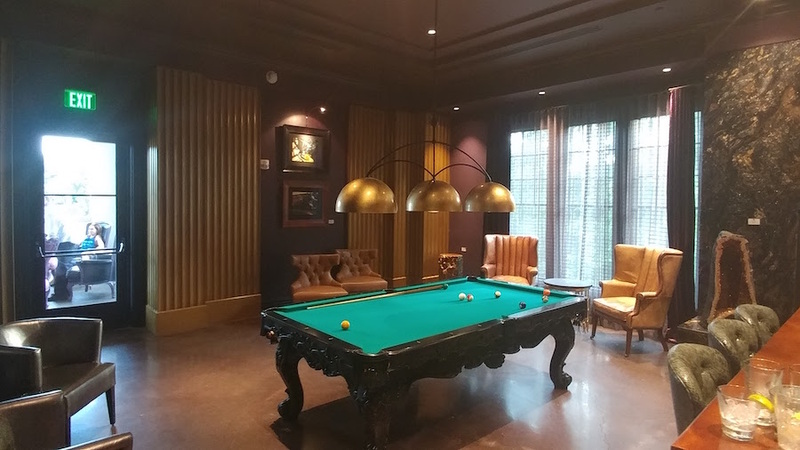 Habitat Feed & Social has an Elegant Atmosphere that is Rivaled only by its Exquisite Food! You won't believe that you are still in the Birmingham Area. 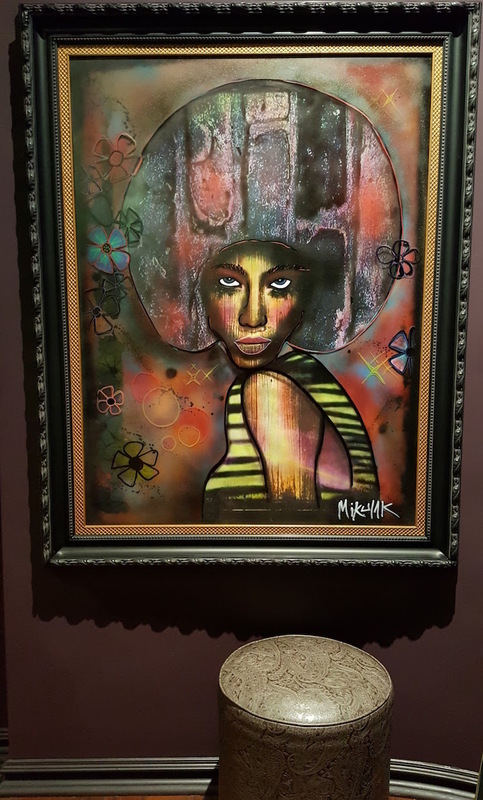 This was our first time visiting and we had zero idea of what to expect. 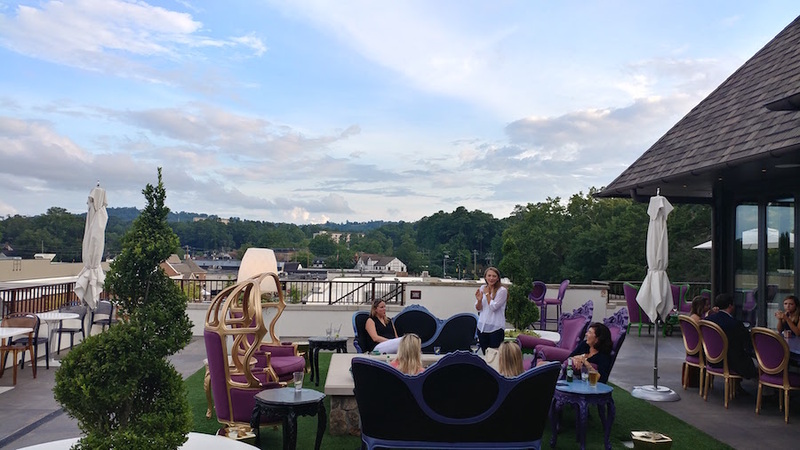 We ascended a long stone staircase and emerged onto a rooftop patio that looked like it could play host to a tea party for Alice in Wonderland! We were immediately drawn in by the plush and colorful decor! As we made our way to a table we noticed that the inside was just as luxurious as the patio. Clearly there had been a lot of attention to detail. Once seated, we began to look over the restaurant menu which is in the $40 prix-fixe menu category. Our server, Cora, did a great job of walking us through the menu and did a fantastic job throughout our visit. 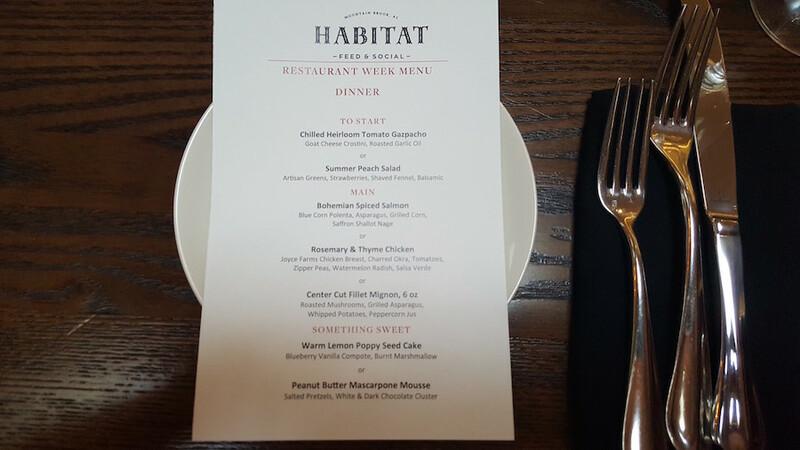 The #BRW2017 menu at Habitat Feed & Social consists of three courses: an appetizer, an entree, and a dessert. As we started making decisions, our server brought us a bread plate with cilantro olive oil! 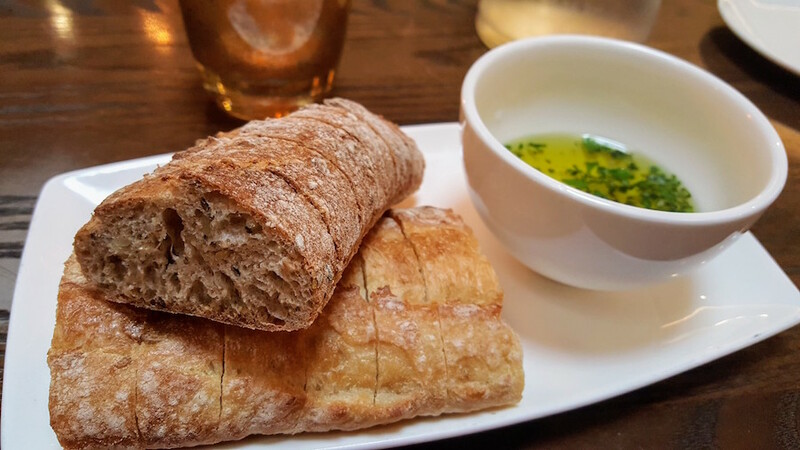 The bread was both warm and freshly baked and the olive oil had just the right amount of flavor. 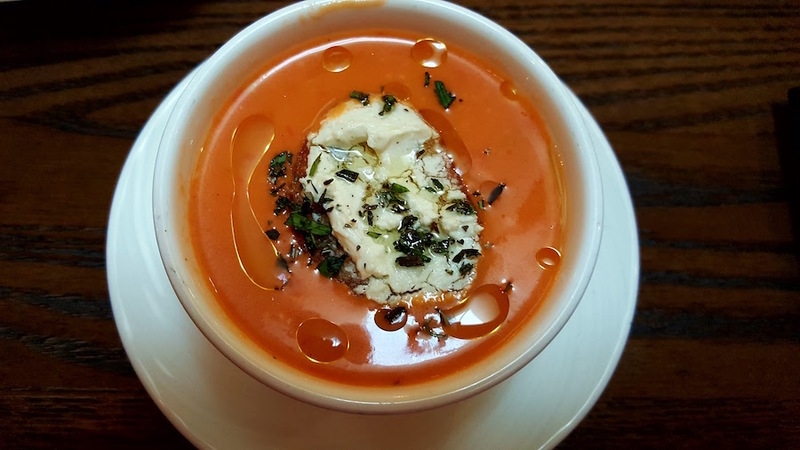 For our first appetizer we ordered the Chilled Heirloom Tomato Gazpacho. It was served topped with a goat cheese crostini and roasted garlic oil! This Gazpacho is perfect for cooling off on a hot summers evening. There were so many layers of flavor packed into the cup! 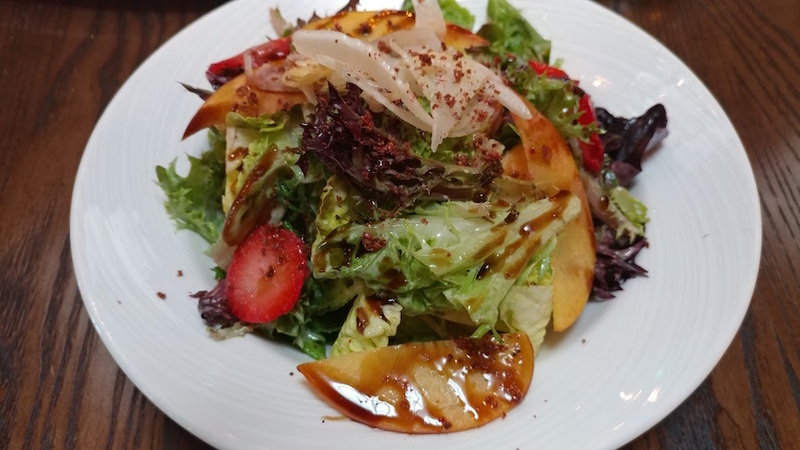 In addition to the Gazpacho we ordered the Summer Peach Salad which includes sliced peaches (think thin apple slices) and fresh strawberries served on crisp greens! This is all topped with a flavorful balsamic dressing. It definitely tastes of fresh summer fruit! Since we love seafood, we opted for the Bohemian Spiced Salmon as our first entree and were not disappointed! 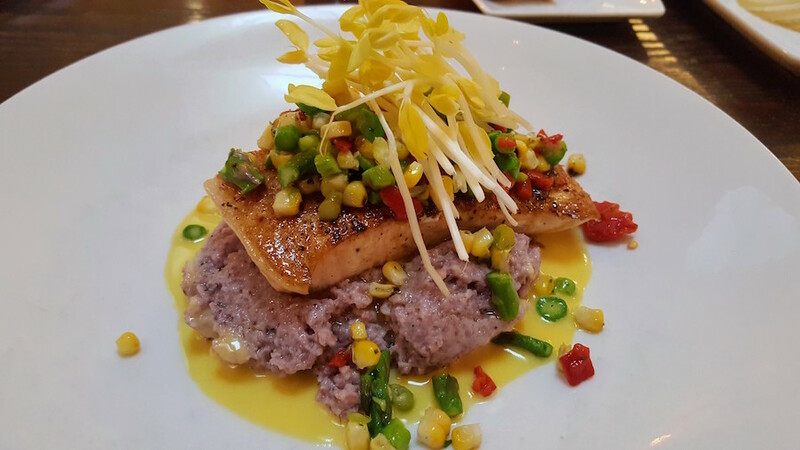 The salmon tasted amazing, but the sleeper ingredient in this dish is the Blue Corn Polenta! Oh, the polenta… We could eat it by the bowl! The texture is soft, not dry, and it’s bursting with sweet flavor. It’s topped with not just the salmon, but also asparagus, grilled corn, and saffron shallot nagi! All of this combines to form an phenomenal dish! 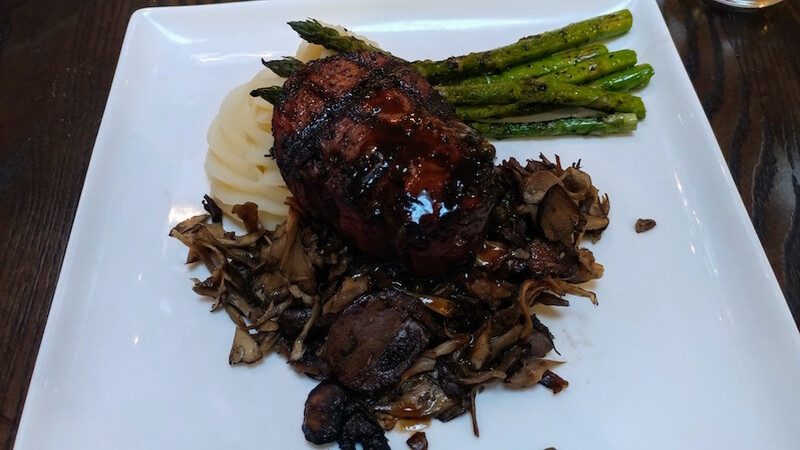 In our experience, you can never go wrong with a good Center Cut Filet Mignon, and the filet we had was on point! Let’s start with the sides which are grilled asparagus, that tastes fresh off the grill, and whipped potatoes that act as a tasty cloud for the filet to sit on. Both were the perfect sides for a steak. The filet itself was cooked to a perfect medium and topped with roasted mushrooms and a peppercorn jus. Mushrooms are always great with steak because the soak up so much flavor. Every bite of this dish was extraordinary! 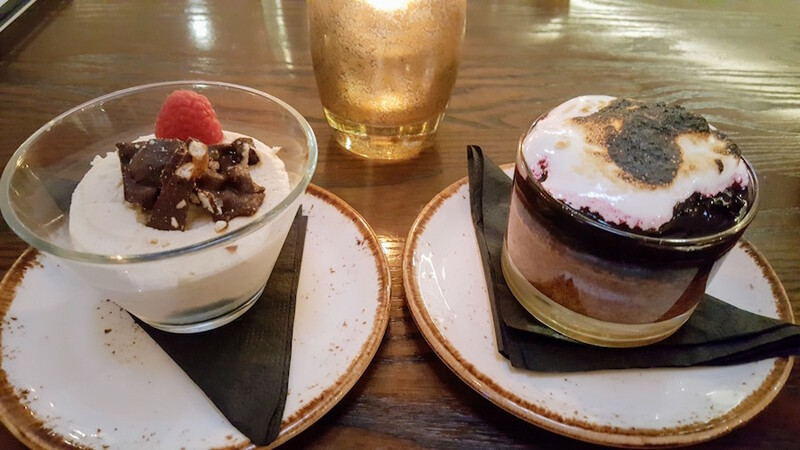 Believe it or not, we still had one more course to go… Dessert! First we tried the Peanut Butter Mascarpone Mousse. Sometimes peanut butter flavored desserts can overwhelm the palate, but this mousse was perfect in both flavor and texture. It was very light, which is great at the end of a substantial meal. As you get to the bottom of the cup you’ll discover small bits of pretzel and light & dark chocolate clusters! 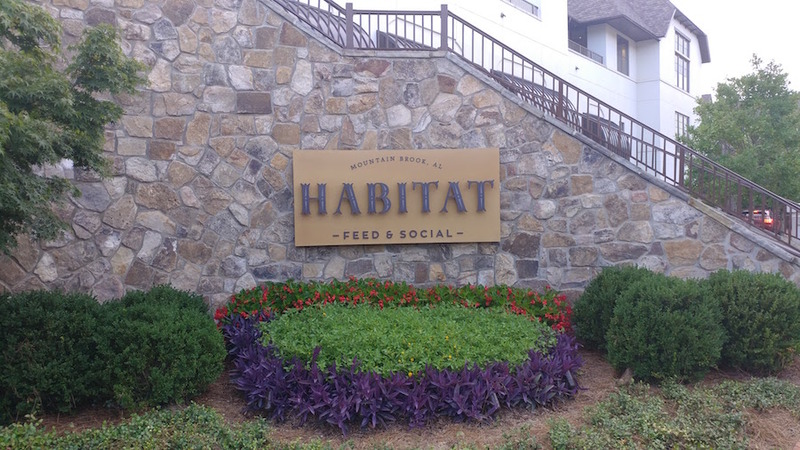 All in all Habitat Feed and Social set the bar pretty high as our first stop of the week. We can honestly say that there’s no other place like it in Birmingham. We also learned that they have a room that hosts cooking classes, and a room for wine blending classes! 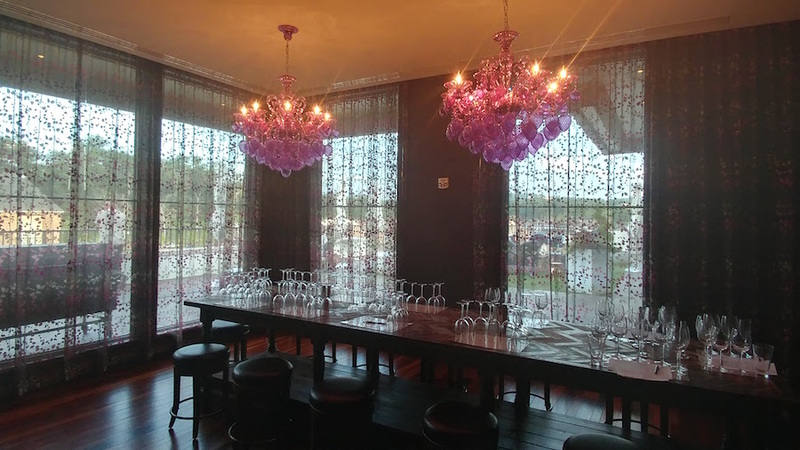 The wine blending class would make the perfect date night, especially for an anniversary or birthday. You get to work with a sommelier as you sample multiple wines and learn to blend your own. The class includes a cheese & cracker tray, and your get to take home a bottle of your favorite blend along with a custom label. How cool! You can find more info about the classes on the website HERE. We hope you enjoyed this culinary adventure. 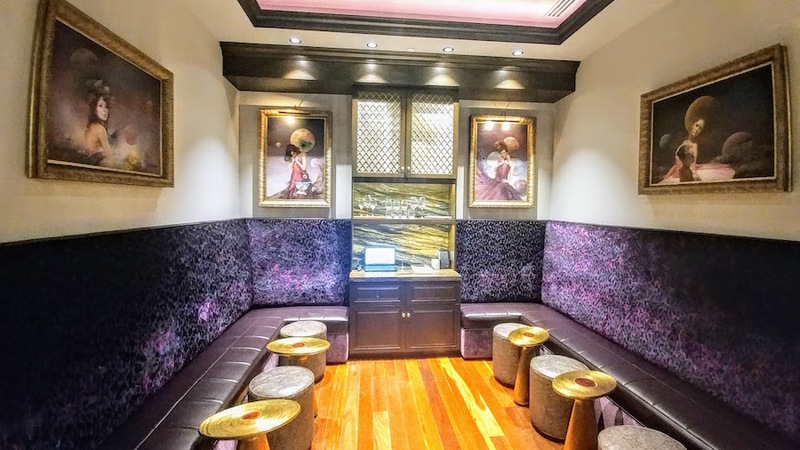 To close out we want to share some additional photos of this gorgeous restaurant. 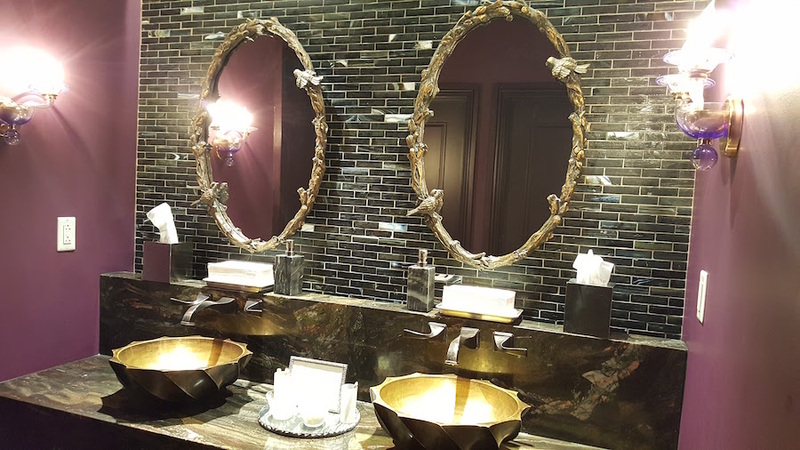 Oh, and this may be a Restaurant Week first as even the bathroom gets a shout out for being so ornate! 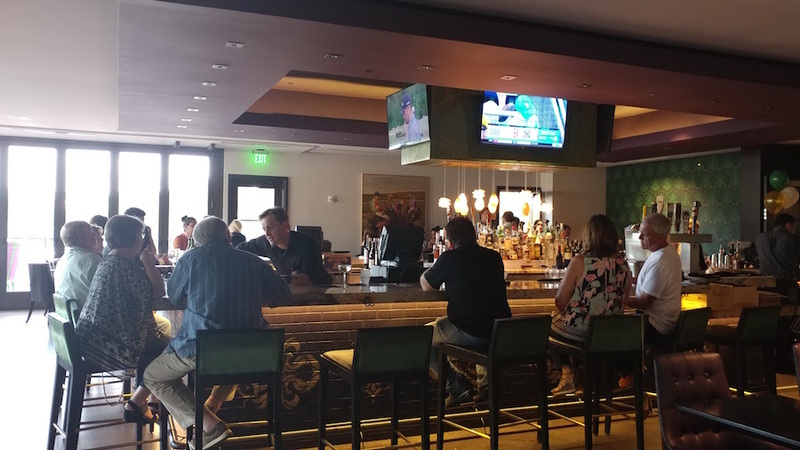 Avo is the Perfect Place to Unwind Over a Fresh Meal!